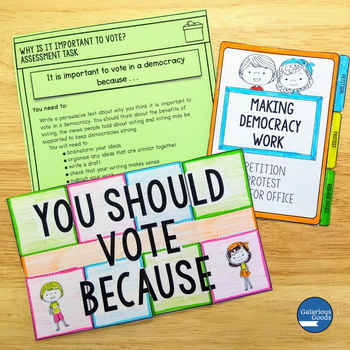 Take your class on an exploration of why it is important to vote, different views about whether voting is worthwhile and some of the ways we can support democracy and voting in Australia. 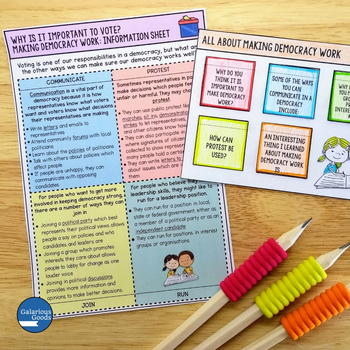 This Year 5 Australian government teaching resource includes information sheets, a wide range of learning and extending tasks, interactive notebook resources, an assessment task and more! 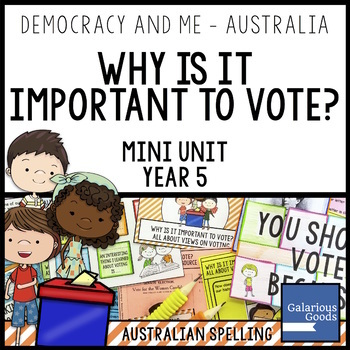 This mini-unit can be completed independently or as part of mini-units covering the ACHASSK115 Year 5 outcome in the Australian Curriculum. ✫ Why is it Important to Vote? 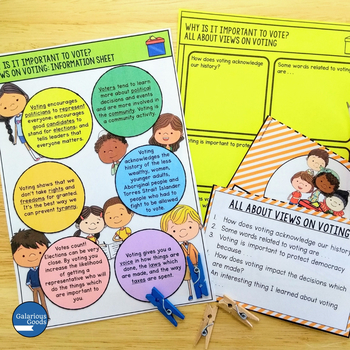 ✫ Note Taking Sheet for Is Voting Worthwhile? This resource contains Australian spelling in A4 format. It is a PDF file, 59 pages long.